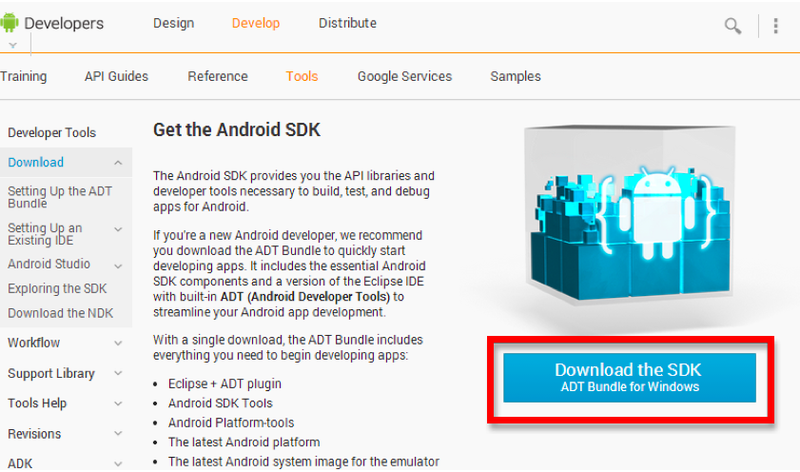 Extract the contents of the Android SDK archive to C:\Android\android-sdk. Do not put in Program Files or any path with spaces. 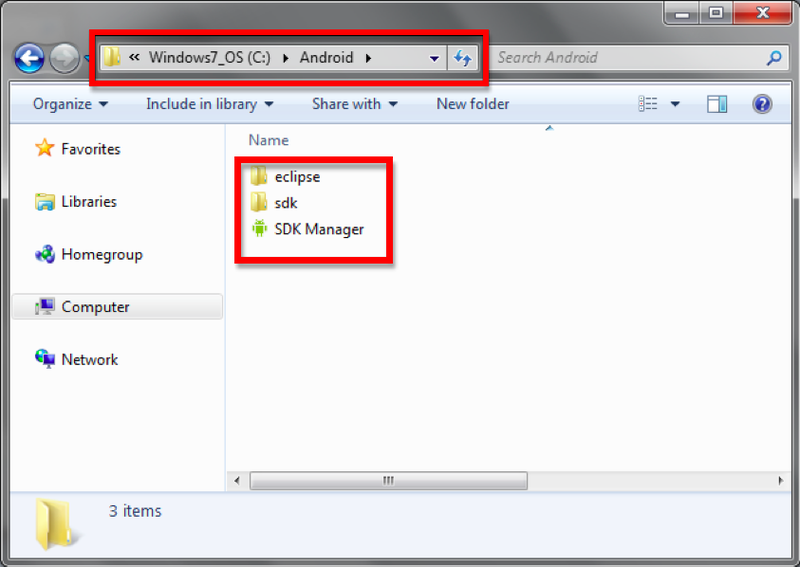 Create a folder in C drive called Android and extract the archive contents there. It should look something like the image above.